You are a nurse, nurse practitioner, allied health professional, or entrepreneur with a service or product for nurses. You are a new nurse... learn at an early stage in your career how to use your POWER in nursing to beyond bedside care. THE #1 NETWORKING EVENT FOR NURSES DURING ESSENCE FESTIVAL!!!! 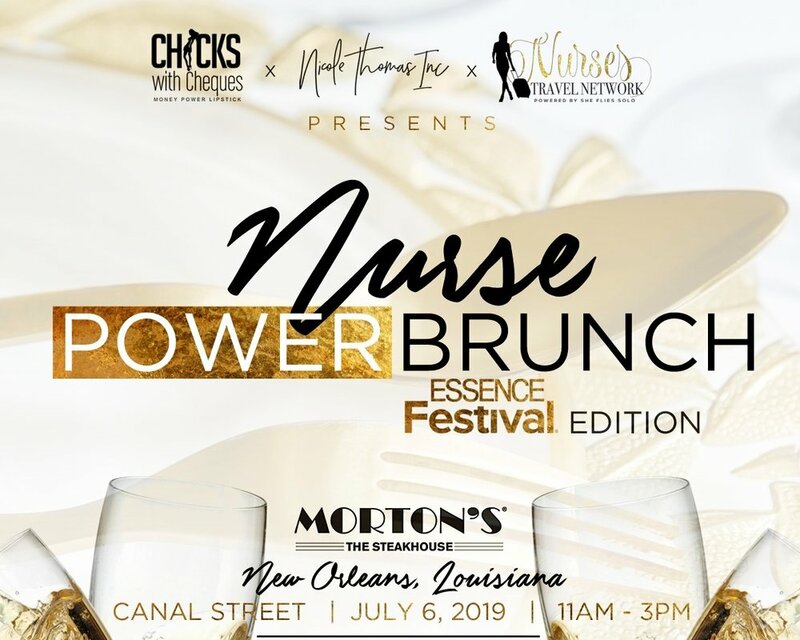 Don't miss the only brunch for nurses who are ready to learn how to utilize their POWER in nursing to become millionaire CEOs, nurse leaders and community advocates. I am Getting my Ticket NOW! The Nurse Power Network offers valuable opportunities to showcase your brand and gain targeted exposure to hundreds of nursing professionals, healthcare leaders, thought leaders, bloggers,podcasters, YouTubers, trailblazing entrepreneurs, and potential customers. Panelist Will Be Announced Soon! We Are Nurse Power !